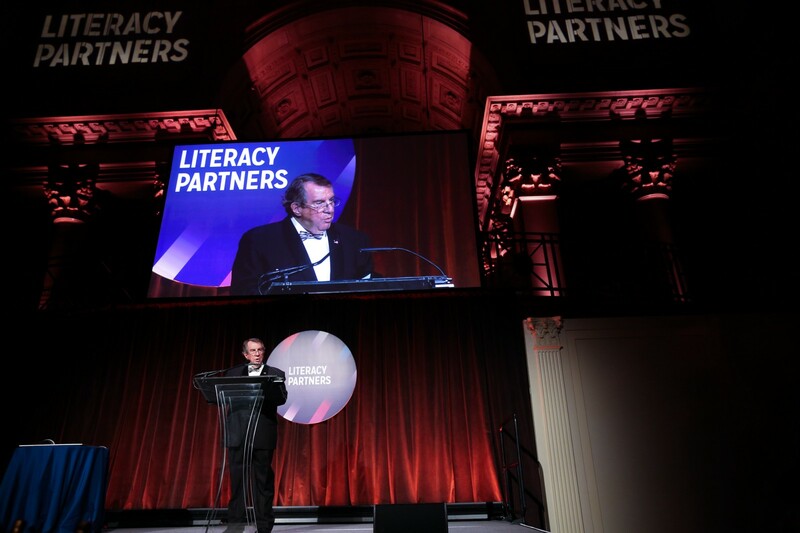 Bon mots were served hot at the Literacy Partners Gala on the evening of Wednesday, March 13th at Cipriani Wall Street. 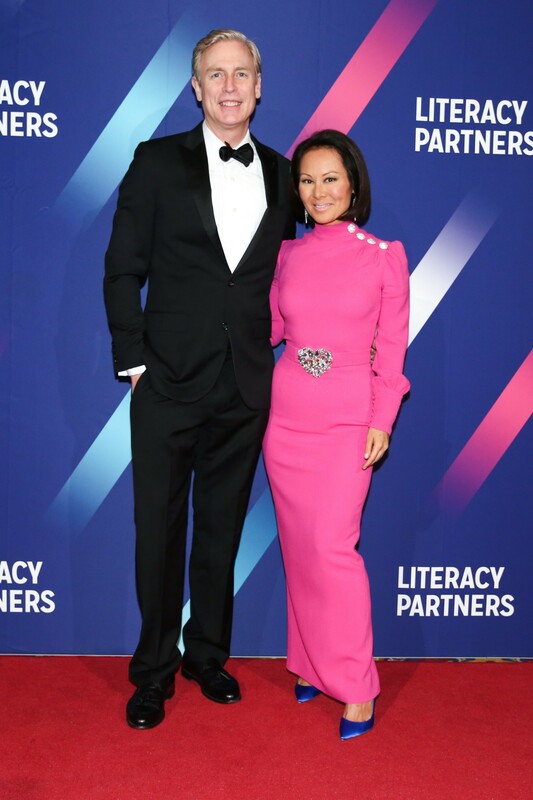 A celebrated evening of readings, cocktails and a gala dinner dance to benefit Literacy Partners mission to end illiteracy one adult at a time. 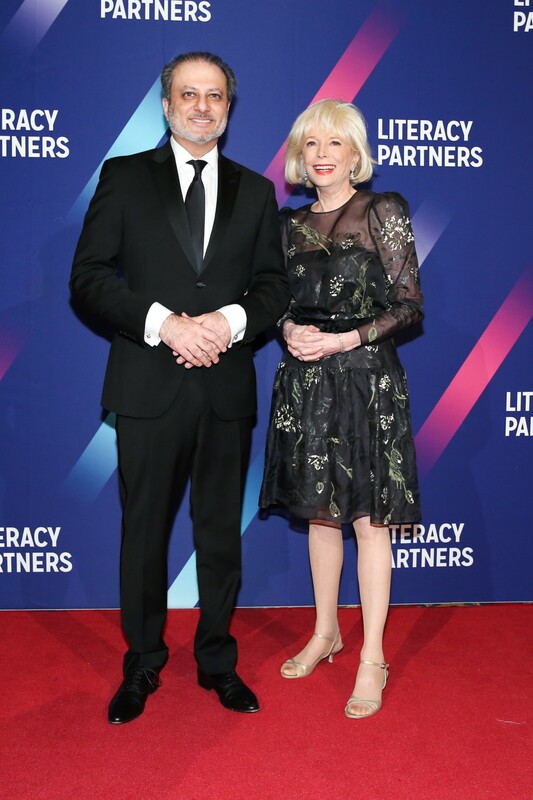 Founded thirty three years ago by the late great and fabulous gossip columnist Liz Smith with her friends fashion designer Arnold Scassi and Parker Ladd to give low income and immigrant families a better life through Literacy education. The evening began appropriately with cocktails and hors d’ouerves in the balcony serenaded by a jazz quartet. Executive Director Anthony Tassi greeted the elegantly attired guests who included Susan Minot, Jesse Kornbluth, Naomi Wolf ,Darnell Moore, Glory Edam ,Michael Denzel Smith, Hari Ziyad, Radha Agrawal, Julie Scelfo, Tanisha Ford, Georgette and Francine Farkas, Marie Brenner, Kimba Wood, Susan Magrino, Diane Sawyer and Bill Owens. Carrying the mission forward power babes of the Literacy Partners Board Joni Evans, Courtney L. Corleto and Katharine Raymond Hintons also graced the evening festivities. After the cocktail reception everyone retired to the dining room for a candle light dinner and awards presentation. 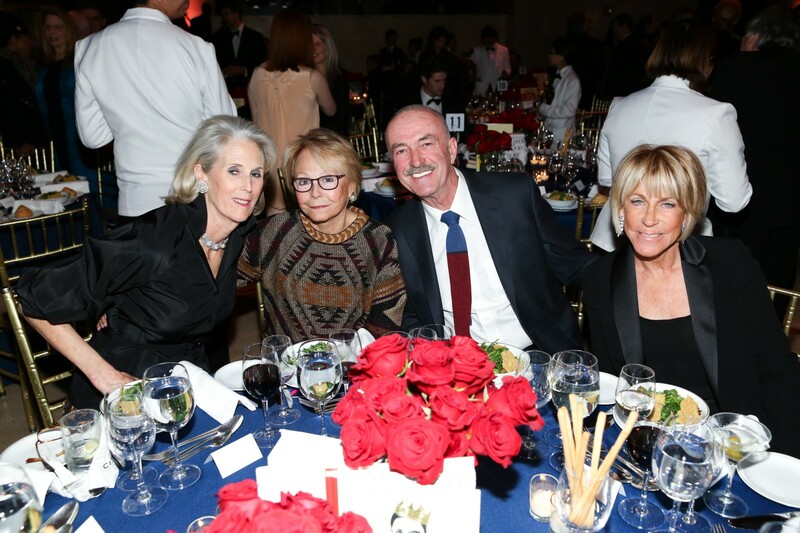 The tabletops were festooned with vases of red roses and stacks of books penned by the honorees. Many books around the gala and available in New York City book stores featured unreadable covers to raise awareness about adult illiteracy. More than 2 million New York adults struggle to read at the eight grade level. 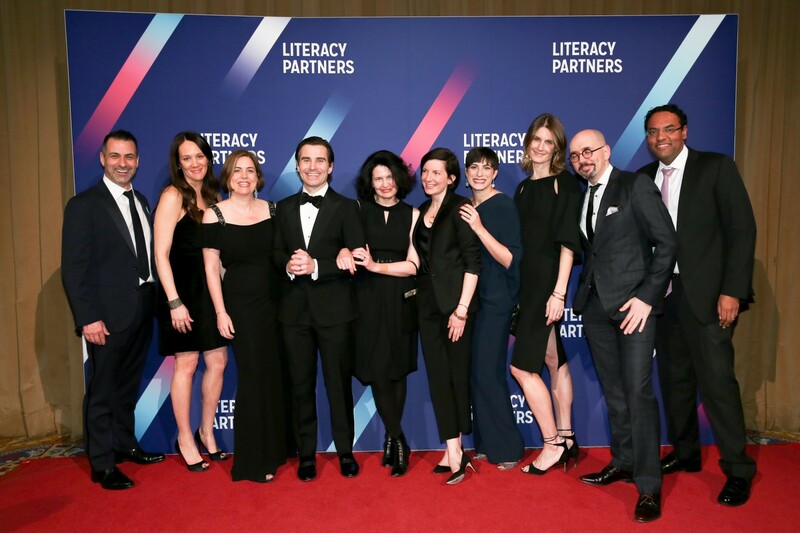 A genuine raconteur David Patrick Columbia of New York Social Diary was a wickedly fun MC who recalled Liz Smith inviting him to the Literacy Partners Gala for the first time 25 years ago. 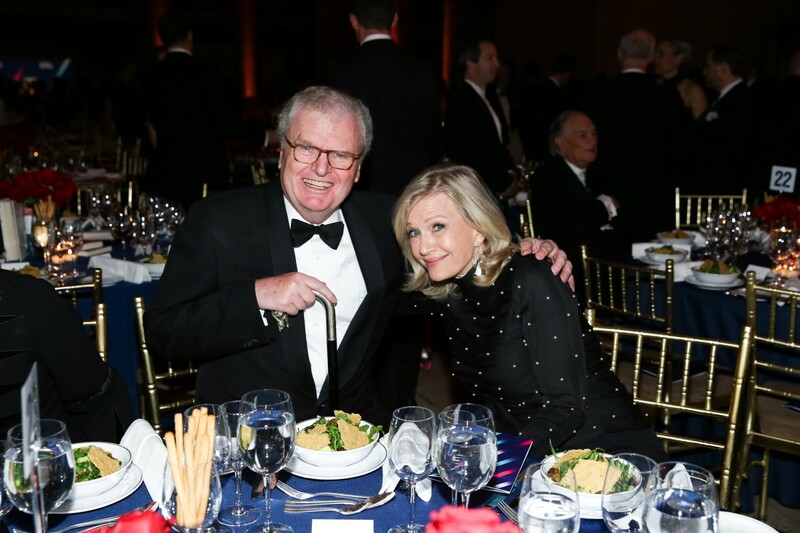 Former President of CBS Howard Stringer presented the Seventh Annual Lizzy Award to Lesley Stahl. In her 26th season as a two time Emmy award winning journalist on CBS News 60 Minutes she has penned a new children’s book, “Becoming Grandma”. 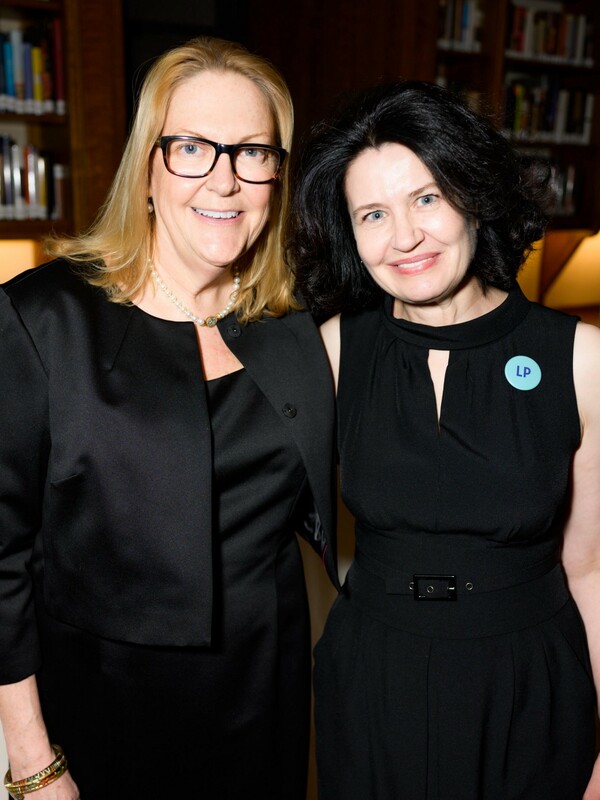 A longtime friend of Liz Smith, Lesley was truly honored to receive an award given to an individual who shares Smith’s passion for the written word and commitment to improving lives of those whom cannot read. Lesley even told a dirty grandpa joke but you had to be there. 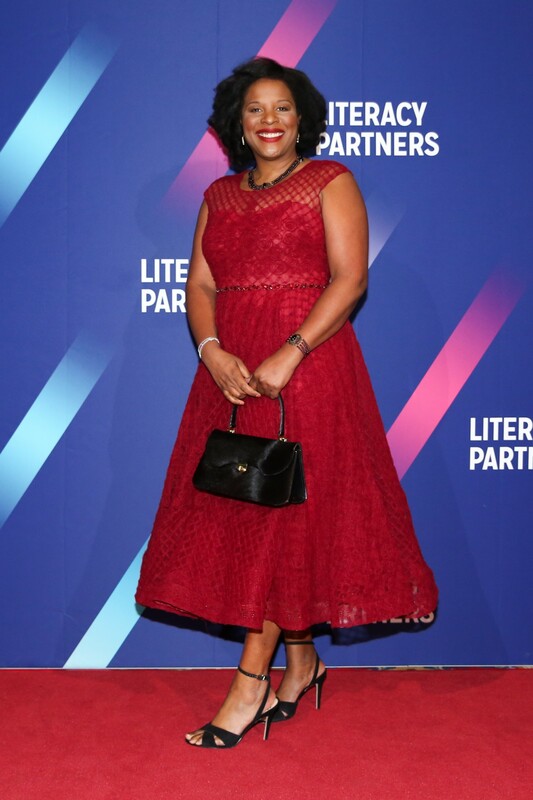 Before reading from her New York Times Bestseller and 2018 Oprah Book Club selection novel “An American Marriage” honoree Tayari Jones shared her own story of teaching adult literacy. Equally stylish fellow board members Alina Cho and Jeff Sharp presented Corporate Leadership Award to outgoing Literacy Partners Co-Chairman Mike Strieb who for the past 7 years, has been a true champion of the cause, providing indispensable leadership and guidance, raising a great deal of money, and bringing an extraordinary array of new talent. The president and CEO of XO Group, home of brands The Knot, The Nest, The Bump, GigMasters and How They Asked, Mike gave an enthusiastic shoutout for his how to book, “The Career Manifesto”. 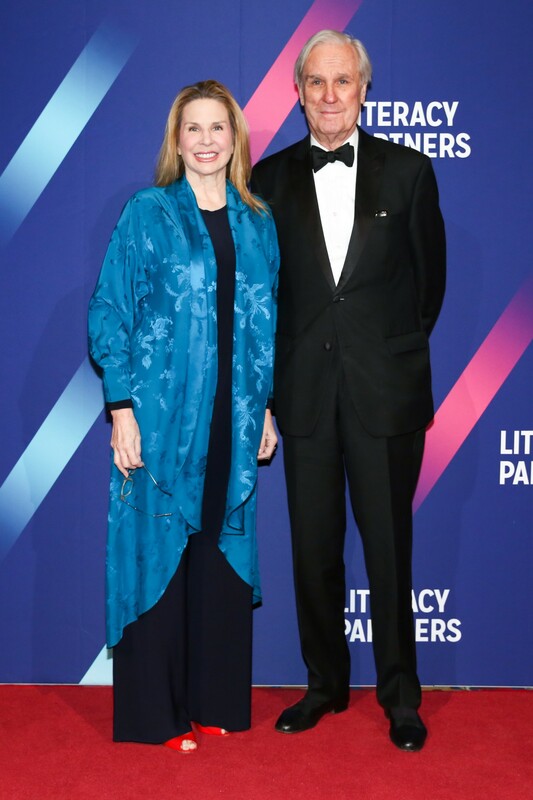 Honoree Andrew H. Tisch co-chairman of the Board and Chairman of the Executive Committee of Loews Corporation entertained with a story of his original family surname before reading from his book of immigrant stories, “Journeys : An American Story”. The badass former U.S Attorney Preet Bharara was applauded when he shared being fired by President Trump before reading from his forthcoming book, “ Doing Justice : A Prosecutor’s Thoughts on Crime, Punishment and the Rule of Law”. The “Sheriff of Wall Street” from 2019–2017, Bharara prosecuted the mob, corruption, terrorism and financial fraud. Anthony Tassi introduced the 2019 Student Speaker and Literacy Partners success story Gicela Jarquin and her family. Champion Literacy Award Honoree Andrea Davis Pinckey reminisced about her inspirational sheroes her mother and Nina Simone. Andrea Pinckney is a much noted scribe of children and young adult books of African American culture. Today Andrea is Vice President and Executive Editor of Scholastic. 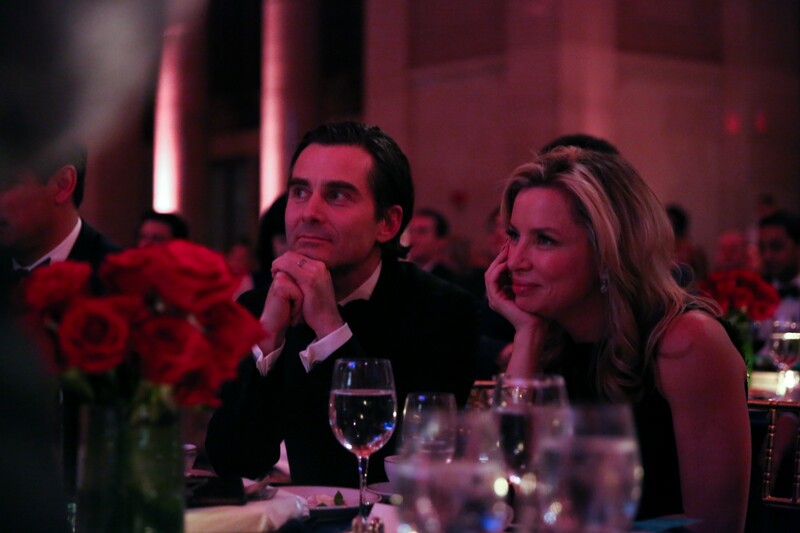 The lethally charming auctioneer of Sotheby’s took to the stage and continued to raise funds for the free classes provided for over 25,000 New York City adults and their families. 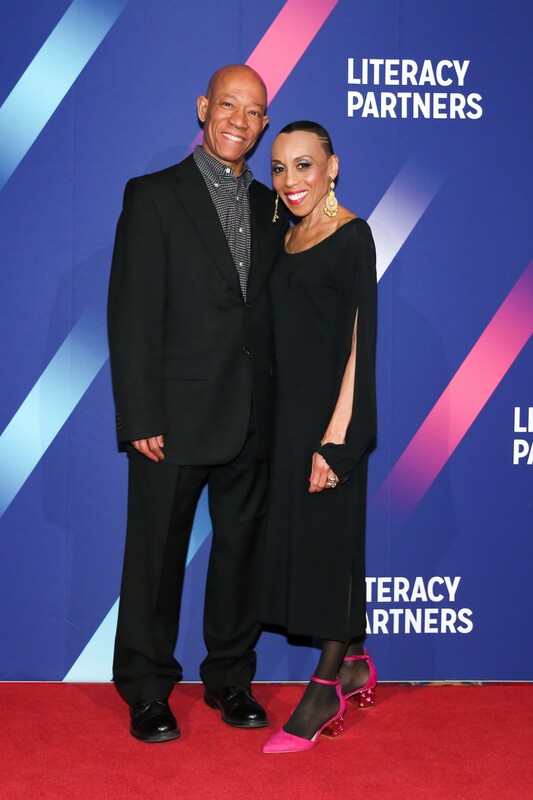 The toney evening raised $1.1M for critical literacy services and ended with dancing and more cocktails in the balcony. Guests left with a gift bag of books happy to support the power of reading for all. Writer. I cover the arts, good causes and style. Will work for coffee, wine and Manolo Blahniks.